"You'll notice the difference the first time you pick up a White Gate Leather belt!" 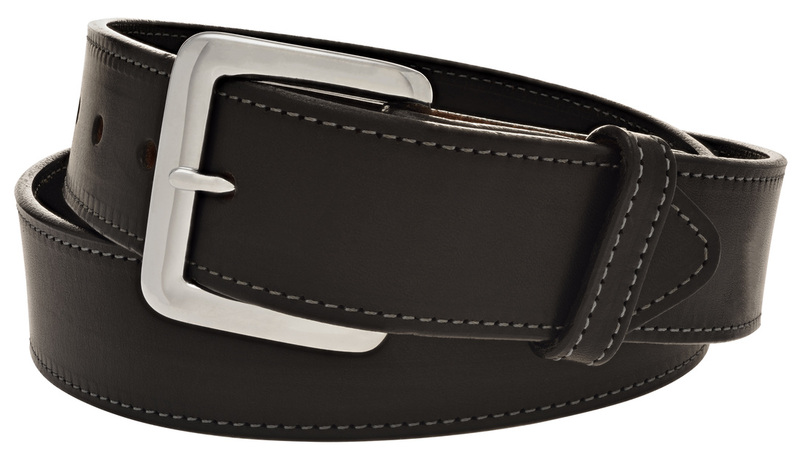 A great looking 1-1/4" belt that is classy enough for dress and durable enough for work or casual wear. 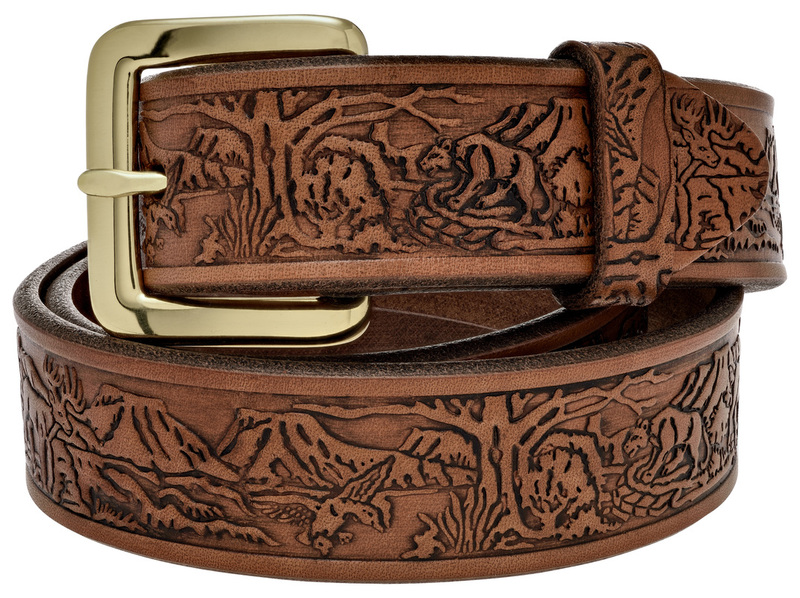 Made with beautiful English Bridle leather in Natural color with an interesting wildlife scene embossed full length. Because we know you may want to customize your belt with one of your favorite pieces, the buckle that comes with this belt is easily removable. 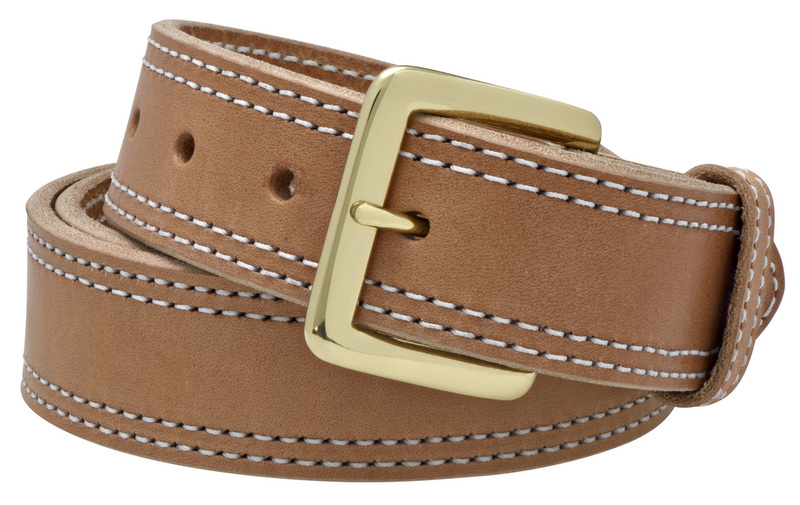 These belts are made with carefully selected 9-10 oz. English Bridle leather. They are cut and finished by hand, and each step of the process is done with care and attention given to detail. You will notice the difference the first time you pick up a White Gate Leather belt. 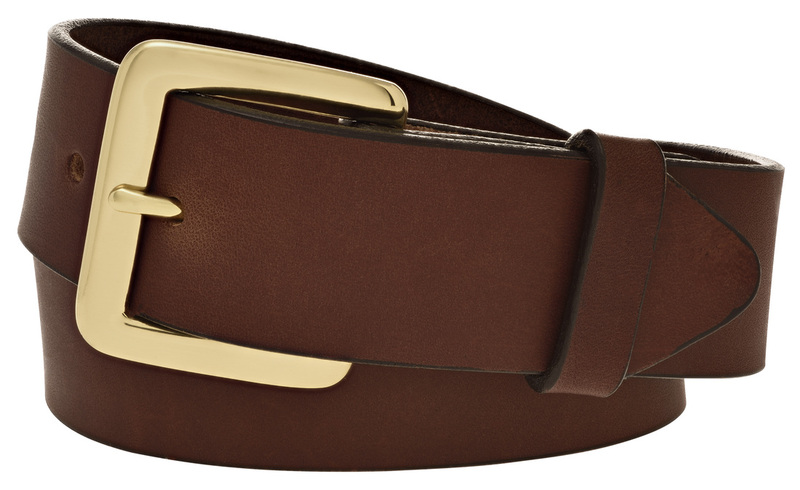 This high-quality, good-looking belt is not available at most retail stores, and, with some reasonable care, it will last a lifetime. Be sure your money will be well-spent when you purchase this product, proudly made in the USA.